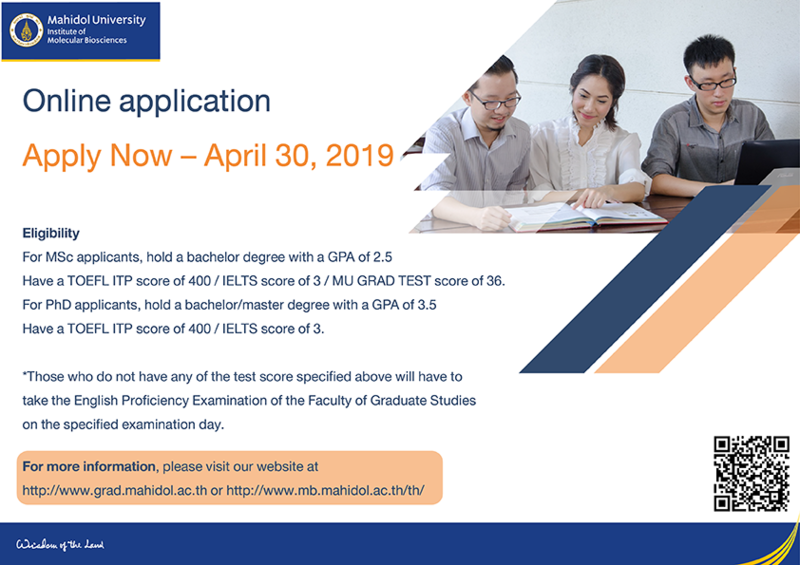 Eligibility For MSc applicants, hold a bachelor degree with a GPA of 2.5 Have a TOEFL ITP score of 480 / IELTS score of 5 / MU GRAD TEST score of 60. For PhD applicants, hold a bachelor/master degree with a GPA of 3.5 Have a TOEFL ITP score of 500 / IELTS score of 5. *Those who do not have any of the test score specified above will have to take the English Proficiency Examination of the Faculty of Graduate Studies on the specified examination day.